by The Bureau of National Affairs, Inc.
Key Development: June 30 deadline to file the Report of Foreign Bank and Financial Accounts (FBAR) is approaching. Potential Impact: Government is stepping up the pressure for taxpayers to reveal their foreign assets. Next Steps: Form expected to arrive at IRS by the due date, rather than simply being mailed by the deadline. The government is amping up the pressure on taxpayers to report their offshore assets as a deadline to report foreign bank accounts draws near, practitioners told BNA in a series of interviews. Taxpayers need to be sharply aware of their responsibility to file the Form TD F 90-22.1, Report of Foreign Bank and Financial Accounts (FBAR) as the June 30 due date draws near, they said. Several practitioners interviewed by BNA stressed taxpayers need to be aware that the form is expected to be received by the Internal Revenue Service by the deadline, not mailed by the deadline. Since June 30 falls on a Sunday, the form technically must arrive by June 28. Neiman said the FBAR is just one facet of the government's continued pursuit of information on accounts and assets held in other countries. In an age of increased criminal enforcement, the emphasis on the FBAR, and the Foreign Account Tax Compliance Act, it is more important than ever for taxpayers to come into compliance, he said. U.S. citizens living abroad, dual citizens, and those living in the United States all need to understand their responsibilities, he said. Scott Michel, a member of Caplin & Drysdale in Washington, said he believes the attention surrounding the FBAR has been a motivator for taxpayers to come into compliance, even though there may still be more awareness internationally than in the United States. “There are still a lot of people in the U.S. who have never heard of it,” he said June 24, noting that the “potentially catastrophic penalties” for failure to file the form have captured the attention of many more taxpayers and practitioners in recent weeks. Josh O. Ungerman, a partner with Meadows, Collier, Reed, Cousins, Crouch & Ungerman LLP in Dallas, said June 24 that he believes there is now much greater awareness of the FBAR requirement among return preparers, predicting IRS will receive a host of forms. Ungerman said the government sent a message in early June when it sued a taxpayer in federal court for millions in penalties for failure to report a Swiss bank account on the FBAR (117 DTR K-3, 6/18/13). In the lawsuit, the Department of Justice asserted South Florida taxpayer Carl R. Zwerner failed to report the account in four consecutive years and owes penalties in each of those years totaling nearly $3.5 million. The government said Zwerner's failure to file was “willful,” and he did not pay the penalties despite repeated notices (United States v. Zwerner, S.D. Fla., No. 1:13-cv- 22082, complaint filed 6/11/13). Ungerman and other attorneys said the case shows that the government plans to be tough on taxpayers and is not afraid to assert multi-year penalties. “I think the IRS is definitely flexing its muscles to send a message to professionals, tax advisers, and taxpayers that it has more tools at its disposal that it hasn't yet begun to use to punish recalcitrant taxpayers with offshore holdings,” Ungerman told BNA. He said the timing of the case coincides with many taxpayers receiving their closing agreements in IRS's offshore voluntary disclosure initiative (OVDI). The program allows taxpayers to reveal their foreign assets in exchange for a set penalty and the chance to avoid criminal prosecution. “The fact that we would see this case now is likely by design and not coincidence,” Ungerman said. He stressed although taxpayers have the ability to “opt out” of the OVDI, they should carefully consider whether that is the right course of action. “Those taxpayers with less than stellar facts that are considering opting out must conduct a thorough evaluation of their circumstances,” Ungerman said. “They have to understand that the IRS can go back six years,” he told BNA. Caplin's Michel said taxpayers should be aware that the government is scrutinizing cases carefully, and there are no guarantees a case will not be referred to the Justice Department. For a long time, the form was not well known, he said, adding that people living overseas may not have known about it. These people should file their FBARs, and they do have other options for coming into compliance, Michel told BNA. The Caplin & Drysdale attorney said the requirement that the form arrive at IRS by June 28, instead of requiring that it be in the mail by June 30, is “just silly.” He said the form is actually under the auspices of the Financial Crimes Enforcement Network (FinCEN) even though people have to send it to IRS, and many are confused. “It looks like a tax form that is prepared by the IRS and it goes to an IRS service center,” Michel noted, saying it should be subject to the same deadline rule as IRS forms. The fact that it is physically due June 28 is “incomprehensible to me,” he said. 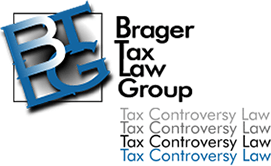 Now head of the Brager Tax Law Group in Los Angeles, he said he is continuing to see people who have not heard of the FBAR and those who are simply afraid to file the form. He too said the Zwerner case is unique, because it asserts multiple FBAR penalties against a single taxpayer, but said it is too soon to draw conclusions about why the government decided to go that route. Kevin Packman, an attorney with Holland & Knight LLP in Miami, said uncertainty still exists about when an FBAR must be filed. “Certain people still have confusion,” he said, noting that he has seen certified public accountants who believe that domestic accounts held through foreign structures need to be reported. Addressing another issue in a June 24 interview, Packman said taxpayers and practitioners are continuing to grapple with the fact that they must file both the FBAR and, in some cases, Form 8938, Statement of Specified Foreign Financial Assets (103 DTR J-1, 5/30/12). The two forms have some similarities but many differences, Packman said. The FBAR is used by taxpayers to report their foreign bank accounts to the government. Form 8938 implements new tax code Section 6038D, which took effect under FATCA. Form 8938 requires taxpayers to report a broad range of “specified foreign financial assets,” with significant differences from the FBAR. The two regimes stem from different areas of the law and have different aims, which Packman said remains difficult for some to understand. IRS put out proposed rules on Section 6038D (REG-130302-10) in December 2011 (241 DTR GG-1, 12/15/11) and followed them with Notice 2013-10 extending the deadline for certain reporting in January 2013 (16 DTR G-3, 1/24/13).